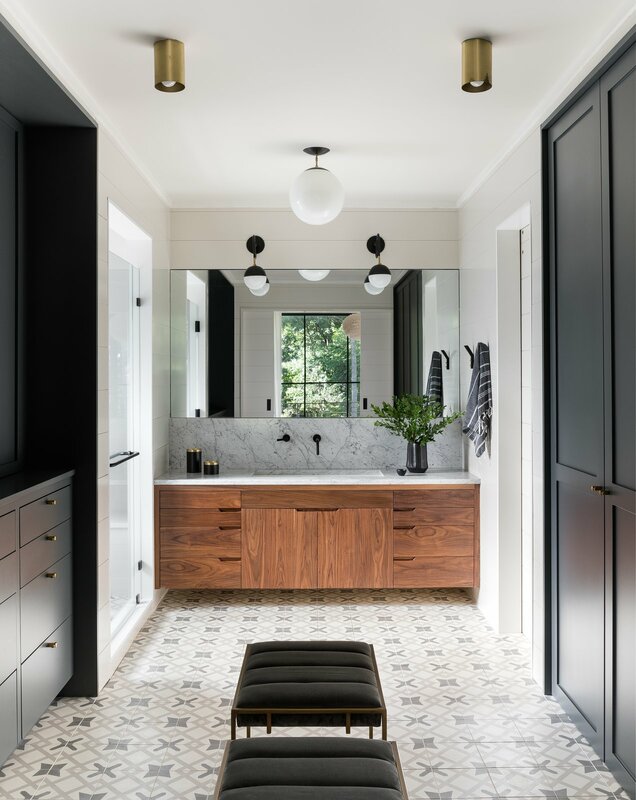 In the master bathroom, the Clé Tile floor, custom walnut vanity, and marble counter fashion a luxe retreat. Lighting is from a mix of manufacturers, including One Forty Three, Rejuvenation, Cedar & Moss, and Atelier de Troupe. The faucet is from Watermark.